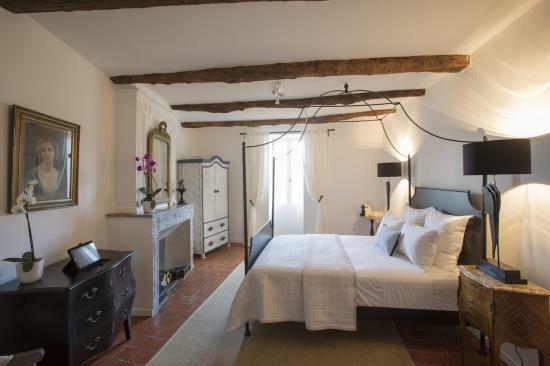 A tranquil and romantic 17th century manor guest house with an emphasis on great local food and wine. 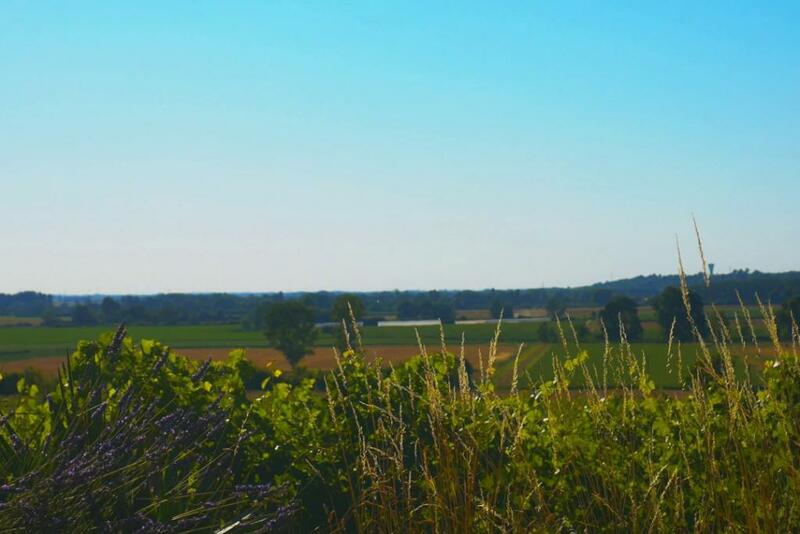 Wine tours, tastings and courses make it the perfect base for all things wine related. 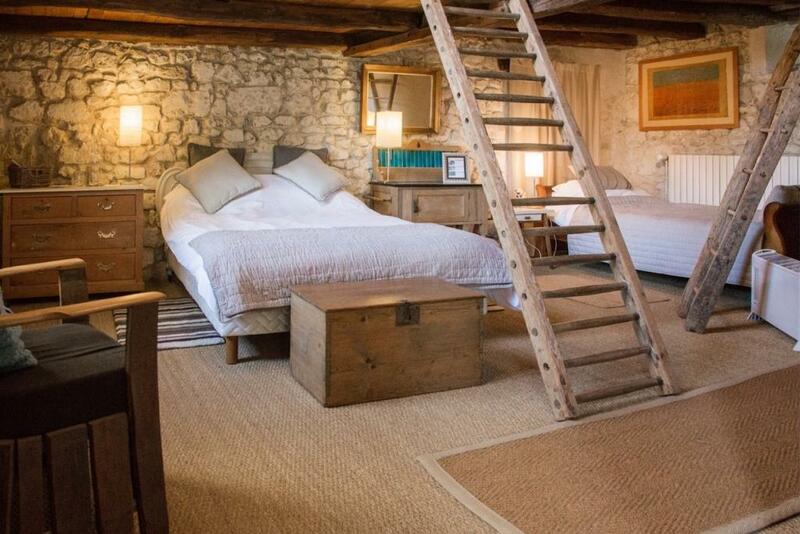 This gay friendly boutique B&B offers a truly unique experience. 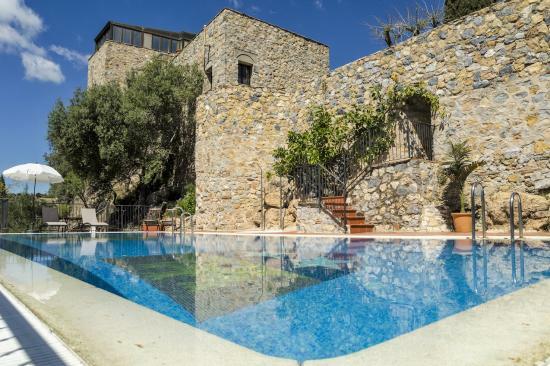 An exclusive GOURMET WINE STAY PACKAGE is available. “Heavenly from the first to the last drop. 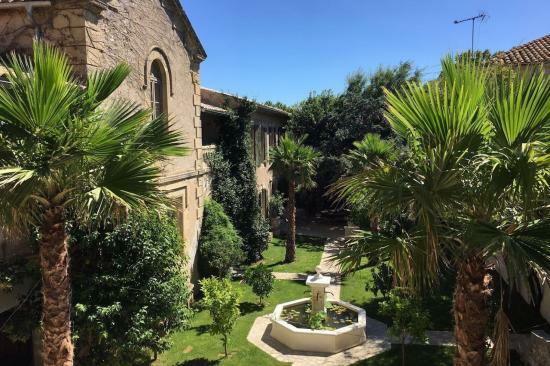 Our hosts not only provided great food and fascinating lessons in viniculture but were excellent company too.” Kirsty Lang, BBC journalist, and Misha Glenny, writer. 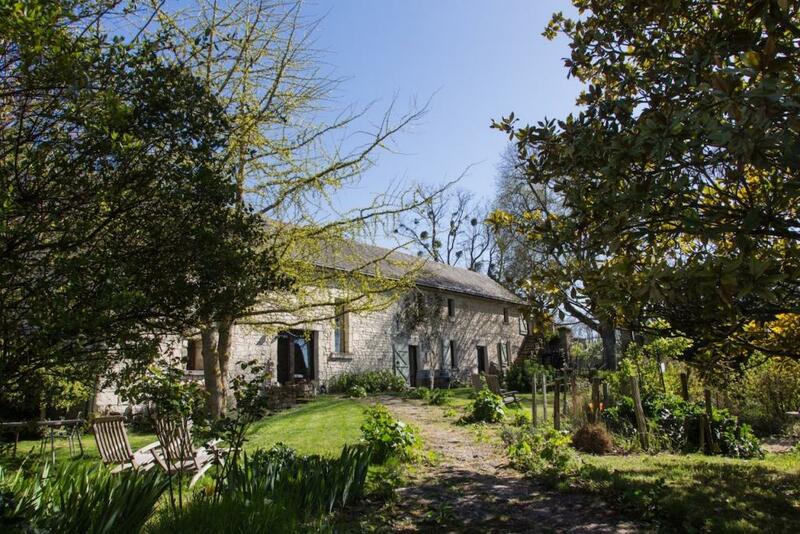 Situated on a hill surrounded by vineyards and in the heart of Loire Valley wine country and within the UNESCO World Heritage French national park. Nearby there are typical Loire Valley market towns, wineries and chateaus to visit but especially noted is Amboise with it’s chateau and chapel with the tomb of Leonardo DaVinci – well worth a visit. The nearest international airport is in Nantes but there is also a good train service to Saumur from Paris. 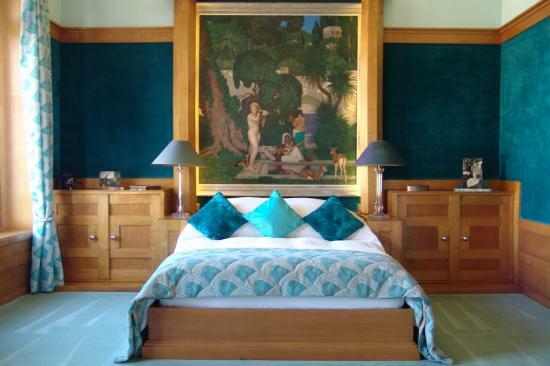 Staying here is best with a car, but remember Sue and Micaela offer bespoke tours too. French Loire Valley tours and courses organised by the expert owners – Sue and Micaela. 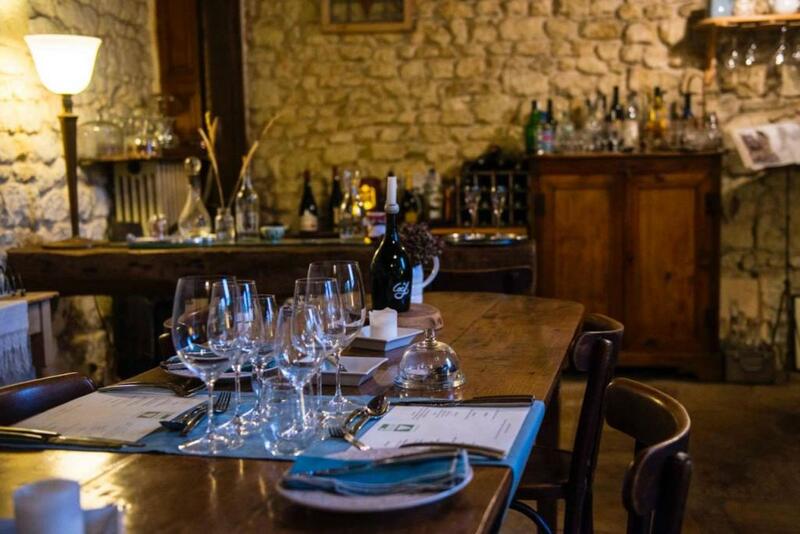 Choose from a wine tasting supper through to a three day tour of wineries, vineyards and wine caves. Something for all abilities from beginner to connoisseur. Fun, informal and informative. Taste, discuss and buy. 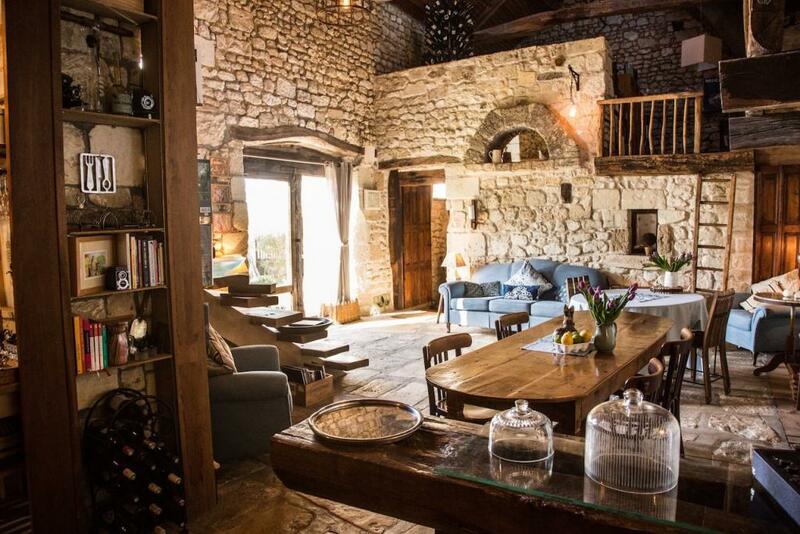 And don’t forget to see La Grande Maison’s very own wine caves and tunnels dating back to the 17th century. 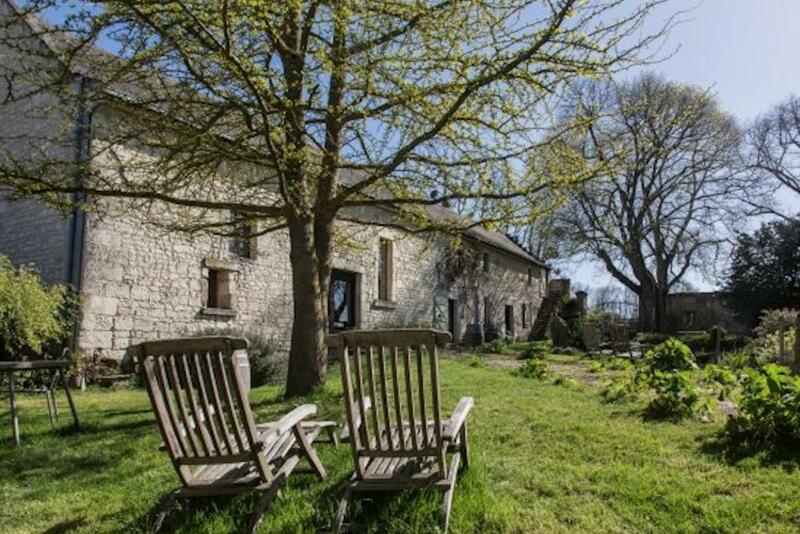 There is also a romantic self catering river cottage nearby called LA PEITE MAISON. There is not much that Sue and Micaela don’t know about wine. They created the original Loire Valley tour package back in 2004 and have been building on their knowledge and experience ever since. Both originally from Brighton, Micaela’s background is in hotels and computer software and Sue worked in the wine business. They both fell in love with La Grande Maison in 2004 and now enjoy sharing their passion for wine and the Loire Valley. Read Sue and Micaela’s interview on our blog and their guide to the Loire on our blog. Micaela and Sue's hospitality was fantastic. We visited them for 4 days as a piece of our honeymoon, and it was our favorite place. The B&B is picturesque and welcoming. 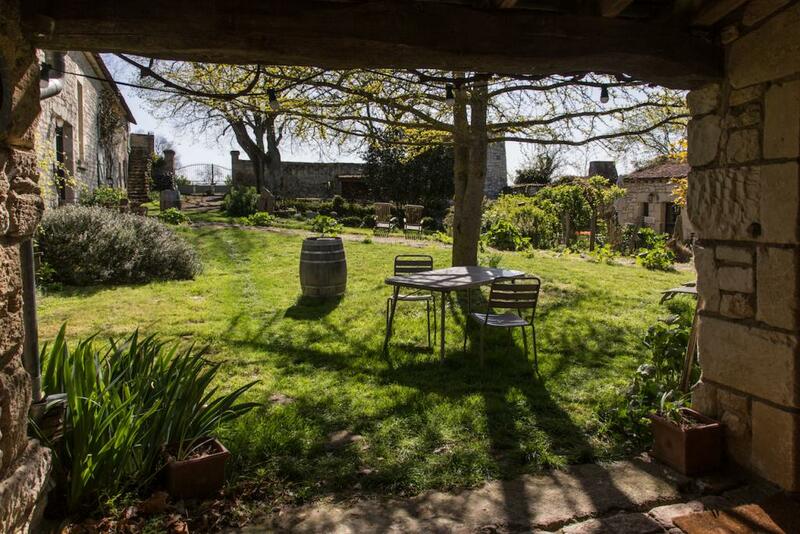 The garden is a peaceful place to enjoy a cup of tea or coffee, or a picnic dinner. Every evening the sunsets over the vines were beautiful. We also chose to take their 2-day private wine tour (in the Land Rover) which took us to little, organic/biodynamic wineries with whom they have developed relationships over time. All the wines were great, and so inexpensive! I wish I had more space because I can't say enough good things. We had an amazing time at La Grande Maison. Sue & Micaela tailored the vine adventures to our tastes and gave us the full benefit of their expertise in wine and the region. Every day brought new and unexpected pleasures, from an epic riverside picnic to simply lounging about the edenic chateau gardens. One winemaker we visited even opened a special bottle of bubbly to celebrate our honeymoon, a testament to Sue & Micaela's relationships with the community. Simply wonderful! Sue and Micaela are wonderful hosts. They have a beautiful Bed and Breakfast in La Grande Maison and we are very happy to have had the opportunity to stay on a 1-night stopover. We thoroughly enjoyed our visit, including the beautiful wines we were offered. The Coteaux du Layon has been searched out many times since! Having been traveling for 2 mths through Europe it was a welcomed change to be hosted in lesbian-owned accommodation. Thank you Sue and Micaela! This was an ideal stop off en route back home from the Dordogne to the UK. 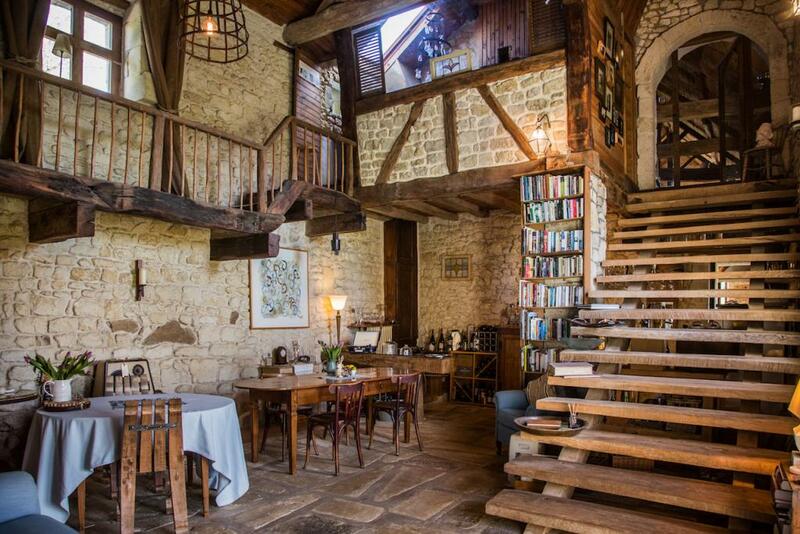 It's a rambling rustic house with a courtyard garden full of wild flowers and shrubs and several interesting aspects including a tower-like pigeonnier at one end. Micaela and Sue are charming hosts and particularly helpful - their bespoke wine trips would be a great way to spend a holiday in the Loire Valley. The rooms were cool and spacious and after a boisterous welcome the trio of Springer spaniels treated us like old friends. Breakfast was excellent with lots of home-made goodies. Highly recommended. 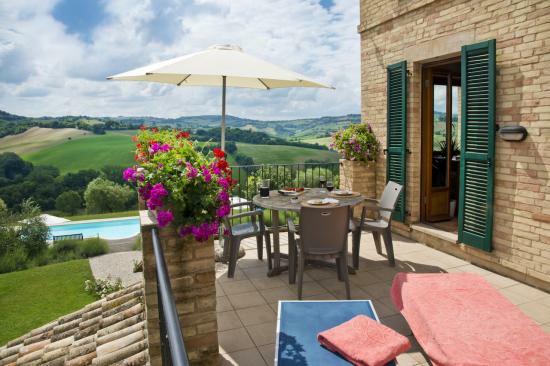 "Found La Grand Maison on TripAdvisor and a newer EU travel website for great places to stay, Further Afield. I have fair but high expectations and have rarely been let down by TripAdvisor. La Grande Mason met and surpassed every expectation. Initially, I was worried about finding it and that it would be too out of the way. A GPS using coordinates was easy...arrived easily and was greeted with a marvelous glass of wine. Micaela showed us to our room and it was just perfect. Fluffy crisp duvet, beautiful clean marvelous bathroom with terrific shower, magnificent welcoming grounds with terrific nooks & crannies that call you to watch sun setting, grape vines exploding with vintage, birds singing and if you are interested darling dogs to give companionship. We are back in the UK and we would like to thank you once more for your hospitality. We truly enjoyed our days en France and at La Grande Maison, the house, the dogs, the food and the wines ... and especially how you managed to put us at ease and temporarily at home. In short, we loved it! We loved going to visit Monsieur Gay the local winemaker and bought five boxes of his "quaffling" Chenin blanc too! Johnny and I are definitely planning to be back this summer, if you would still have us. Anyway, once more thanks to both of you!" 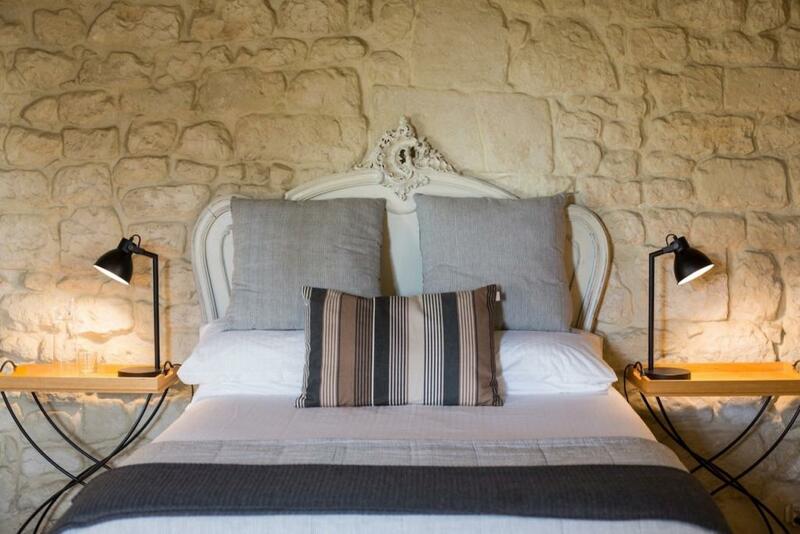 Your booking enquiry has been sent to La Grande Maison, they will reply to you directly.